AKC Australian Shepherds from Maine! 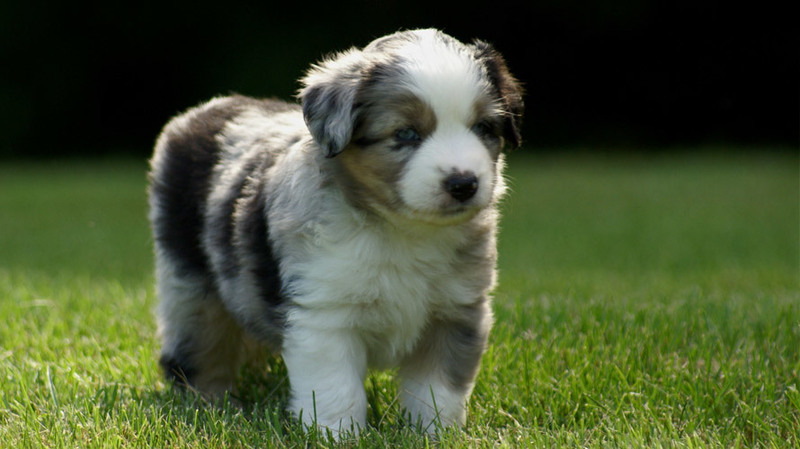 Available Mini Aussie puppies from July 2012 at Breezemore's Maine Miniature Australian Shepherds. 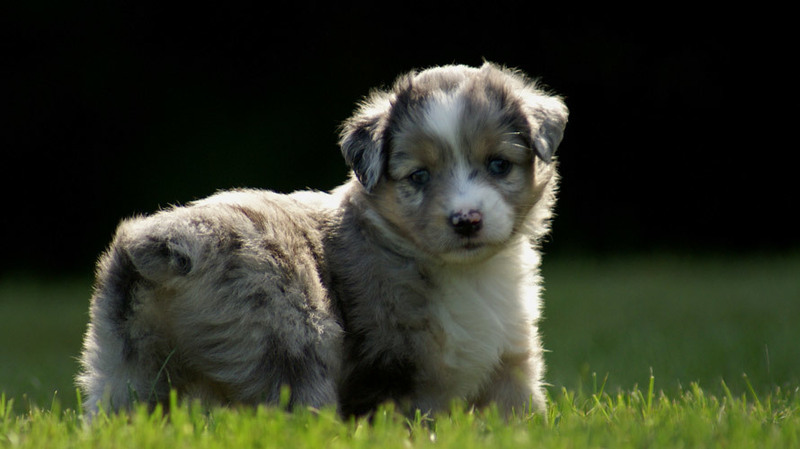 July 2012: New Miniature Australian Shepherd Puppies! Kylie and Eli had a litter of seven pudgy puppies (6 males and 1 fluffy female) on the 19th of July. These puppies will be 8 weeks old on September 13th. 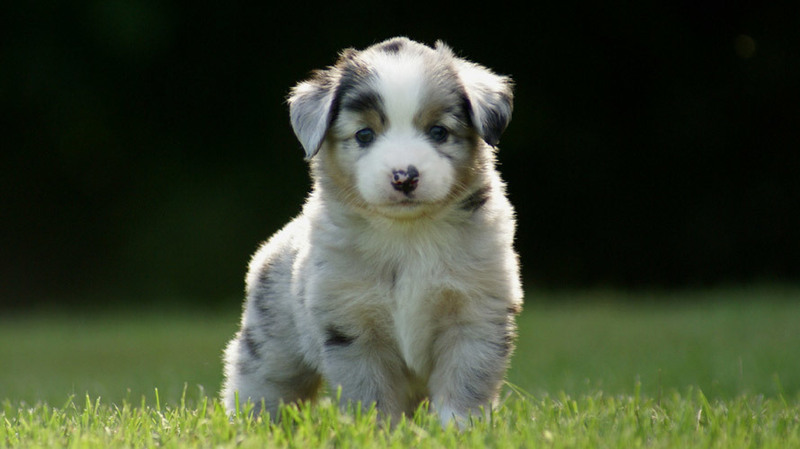 "Mini Aussie Puppies of Breezemore.com at Play!" 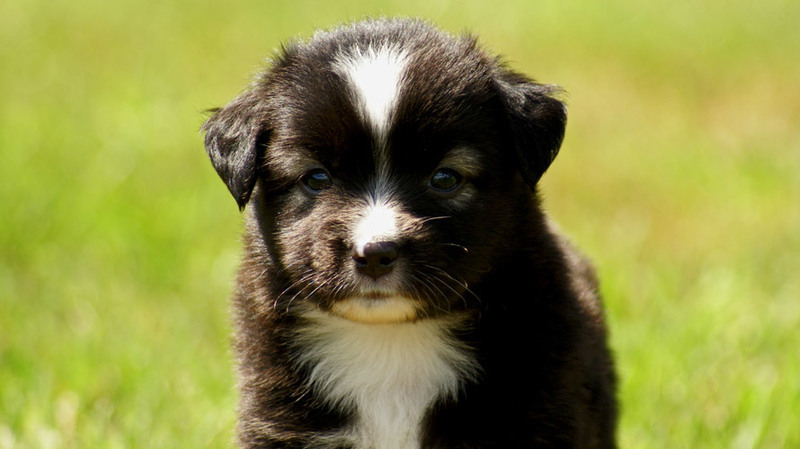 "The Twinsies - Black Bi Miniature Australian Shepherd Puppies"
"The Kyle Juniors - Black Tri Miniature Australian Shepherd Puppies"
"The Merles - Blue Merle Miniature Australian Shepherd Puppies"
All puppies from this litter have found their forever homes. Check back every now and then for news on new puppies! He's a nice square puppy that's got the tigger bounce down solid. Sold: Thank-you Williams family. They have named him Gabe! He's all boy, through and through. He has a rugged masculine build that makes him quite the bulldozer when it's time to play! He was the first to master the art of pen escape... again and again and again. He's a very flashy merle with a nice big blaze. I expect him to hit about 16-17" when full grown; as it is now he's a little fluffball. Sold: Thank you Trudos; they've named him Scotty! Sweet as can be describes this guy through and through! Sold: Thank you Stephen & Roberta; they have named him Boo! He's black and white all over. For a little guy, he's very well proportioned. He could be in a deep sleep, but he'll be right up to the pen the second he sense a human. His fluffy fur is getting bigger by the day. He's the smallest of the litter. We've been calling him Twinsies. 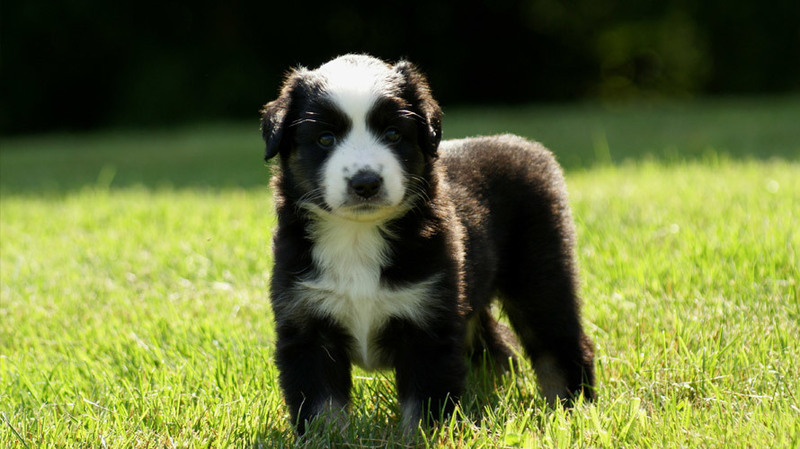 Sold: Thanks to the Russells, they've named him Kai! Another little guy with black and white. He has this weird thing where his preffered pet is a full head pet. Imagine cupping an apple in your two hands... and then petting it. It's an odd puppy. We've been calling him Twinsies. That isn't a typo, Both bis are going by Twinsies -- my sons aren't helpful hahah. Sold. They have named him Kona! She's gotta be tough as nails to live with 6 little boys. She should mature to about 15". We've been calling her Sooie. © breezemore.com ~ please feel free to send an email to breezemore@gmail.com with any questions, comments, or interests!